We highly recommend a new hotel in Hanoi. Located right in the center Hanoi oldquarter. Openning in August 2009. 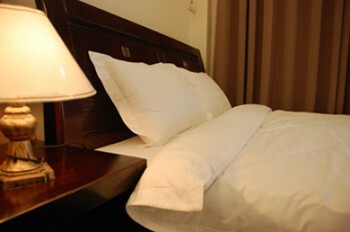 Hanoi Advisor hotel is pectfect place to stay. Just 5 minutes walk to Hoan Kiem lake, near by Vietnamese and Western restaurant. 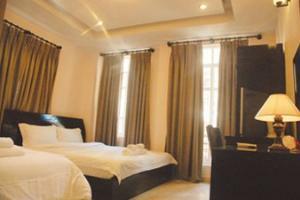 Hanoi Advisor hotel is so convenience for guest to visit Hanoi. New standard room available with a big welcome of young Vietnamese students will make you so happy daily. Travel agent right in the hotel help you planing for the trip with best price able. Safe money and happy. Single room: 1 single bed, rivate bathroom with hot water, cable TV, A/C, telephone and minibar. 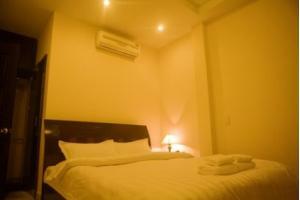 Double/twin room: 1 double bed/2single beds, private bathroom with hotwater, cable TV, A/C, telephone and minibar. Triple room: 3 single beds, private bathroom with hot water, Cable TV, A/C, telephone and minibar. 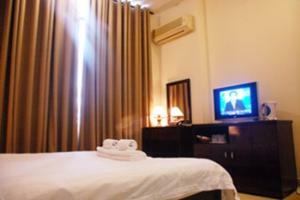 Quar room: 2 double beds, private bathroom with hot water, Cable TV, A/C, telephone and minibar. A/C A/C climate control Backpacker facilities Balconies Bidet Clock radio Coffee/tea maker Electronic key Ensuite Fax service Hairdryer Iron/ironing board Keyless entry Lockers Maid service daily Mini-bar Movie rental Priavte bathroom with hot shower Private bathroom Refrigerator Rollaway beds available Safe box in room Showers without bath Smoking rooms Telephone Television Television (cable/satellite) Voltage converters Wake-up calls telephone and fridge. Just 5 minutes walk to Hoan Kiem lake, Water puppet theatre and Opera house. 10 minutes taxi/motorbike to Hanoi railway station and 45 minutes taxi to Noi Bai international airport. Pick up at Bus station, Train station & Airport.